This ingredient may be listed as any of several different names when used in supplements and for other purposes. These include: glutamine, glutamic acid HCl, glutamine ethyl ester, glutaminate, glutamine methyl ester, levoglutamide, glutamine peptides, glutamic acid hydrochloride, and many others. 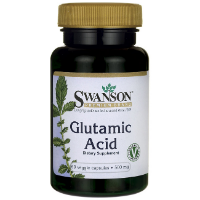 Of the many reasons for which glutamic acid is used, one of the most common is to help counteract some of the side effects commonly suffered as a result of medical treatments. For instance, some people use it to help overcome some of the side effects of chemotherapy for cancer, including nerve pain, pain and swelling within the mouth, and diarrhea. It is also often used to ease the joint and muscle pains caused by Taxol, a cancer medication. It is used to boost recovery following bowel surgery and bone marrow transplants and may be used to improve wellbeing in individuals who have experienced traumatic injuries. It is also used to reduce the risk of infection among people who are critically ill.
Other uses for glutamic acid includes easing stomach ulcers, ulcerative colitis, Crohn’s disease, irritability, moodiness, depression, anxiety, and insomnia. 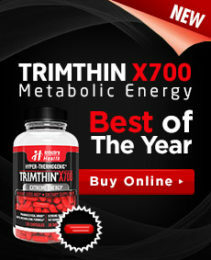 It may be used for weight loss and as a fitness supplement to help boost exercise performance. This ingredient is the most abundant free amino acid found within the human body. These protein building blocks are produced within the muscles and the blood carries them throughout the body to the organs that require it. It is believed that this amino acid may play a role in digestive function, the immune system and vital bodily processes. It is also important in bringing nitrogen and carbon to the cells of the body that use it as fuel. This substance is also required for manufacturing certain other body chemicals such as glucose as well as other amino acids. While there is some evidence that glutamic acid might provide some benefit to dieters or exercisers, it does look promising. At the moment, most scientists and doctors say that using this ingredient for this process, is considered to be unproven, at best, but that it would likely be worthwhile to continue research into these effects. Until then, it is unknown precisely what the ideal amount would be to use and whether it could be considered toxic above a certain level or if used for too long.